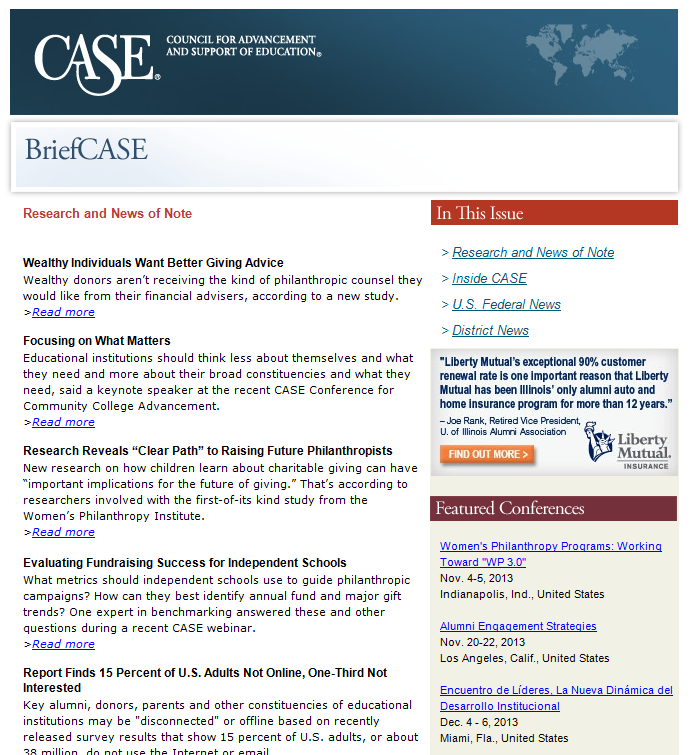 At CASE, part of our job is to listen and respond to member questions, update members on CASE events and pay attention to trends in educational advancement. 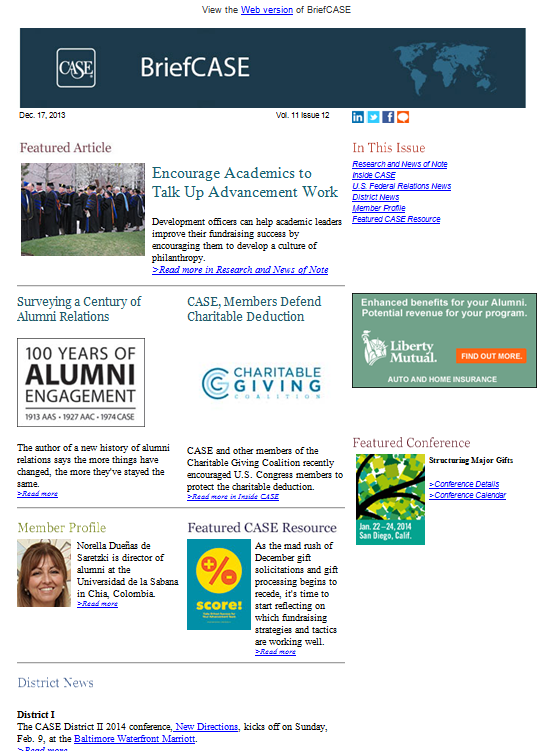 A lot of this advancement news and information goes into our monthly member e-newsletter, BriefCASE. Keep the newsletter design simple, with short paragraphs and bold headlines. Use a table of contents and make sure the newsletter is scannable. Be consistent. Decide on a standard number of and format for articles. Decrease amount of text and add more graphics. We still have a few kinks to work out, but think it’s a pretty strong improvement. As always, though, we’d like to hear constructive criticism (or unabashed praise) from our members. What do you think?